Window wells hold back the dirt in front of your basement window. This allows natural sunlight to help brighten your basement. Window wells come in many shapes and sizes; however, they are all mounted to your home's foundation. During installation of your window well, it is important to take the necessary steps to seal between the window well and the foundation. This prevents water from the surrounding ground from entering your window well and forming a puddle in front of your basement window. Dig a hole for your window well, according to the manufacturer's instructions. 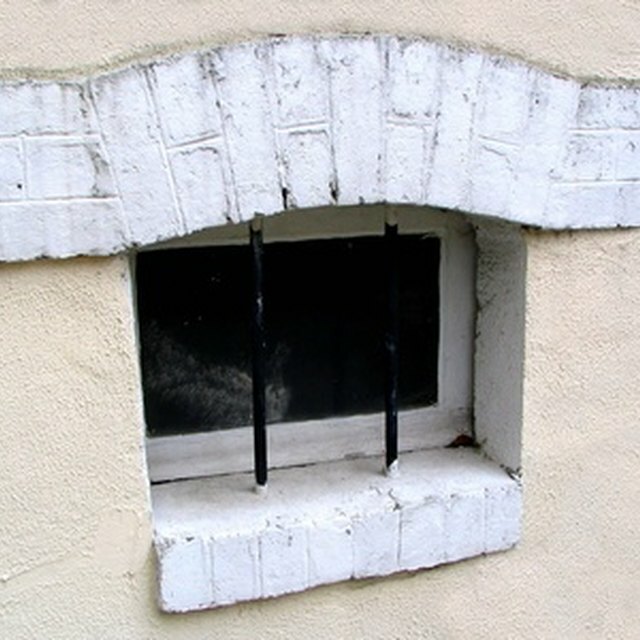 Position the window well in front of your basement window, with the mounting flanges tight against your foundation. Lay a 4-foot level across the window well's top edge and adjust the well so it sits straight. Mark the flanges' bolt holes onto the foundation and remove the window well. Drill pilot holes through the markings, according to the manufacturer's directions. Place the anchors in the holes. Place a tube of silicone sealant in a caulk gun. Run a 3/8-inch thick bead of sealant down the length of each mounting flange. Lower the window well back into the hole. Line up the bolt holes with the pilot holes you drilled. Press the window well firmly against your home's foundation and bolt it into place. Wipe away any extra sealant that seeps out from under the flanges with a paper towel.